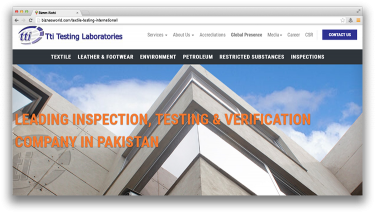 Description Textile Testing International has been in service since 1995, and is providing testing services to the apparel and textile industry. In todays competitive market, the demand for textile products that perform as expected is more rigorous than ever. Consequently, it is the responsibility of both the Supplier and the Buyer to have an in-depth knowledge of the materials and components being used in the textile product, which will affect the serviceability of the end product. In this way, Textile Testing International has helped manufacturers, importers, retailers and others to improve their products and to meet the increasingly rigorous demands of todays customers.